Saint Paul And The Broken Bones. Photo by Keith Brake. The night started like the crowd. Everybody slowly coming in, building from small groups of people into a swaying, dancing congregation. The opening act Michael Nau, fit right in. The singer song writer played a sweet set that put me in the mind of a trippy James Taylor. While the crowd grew during Nau’s performance so did their interest in what Nau was doing. From sporadic clapping for his first couple of songs into some sustained applause as he finished his set. The very talented Mr. Nau won over a crowd clearly in the Pageant to hear St. Paul and the Broken Bones. 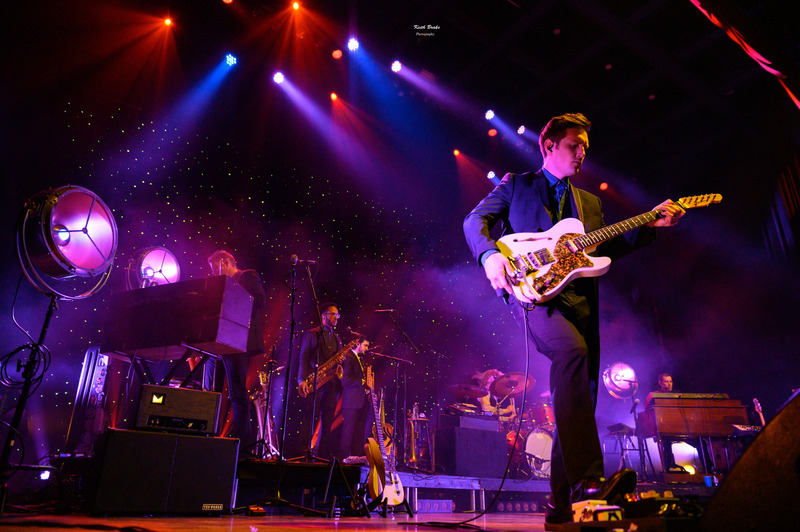 There was no sense of urgency as the crew set the stage and the band took it over. The over riding feel of the evening was cool. The band began to fill the stage, Browan Lollar, (guitar and vocals), Adrew Lee, (drums/percussion), Jesse Phillips, (co-leader, bassist and co-writer), Alan Bransetter, (trumpet), Al Gamble, (organ and piano), Amari Ansari, (Saxophone), Chad Fisher, (trombone). 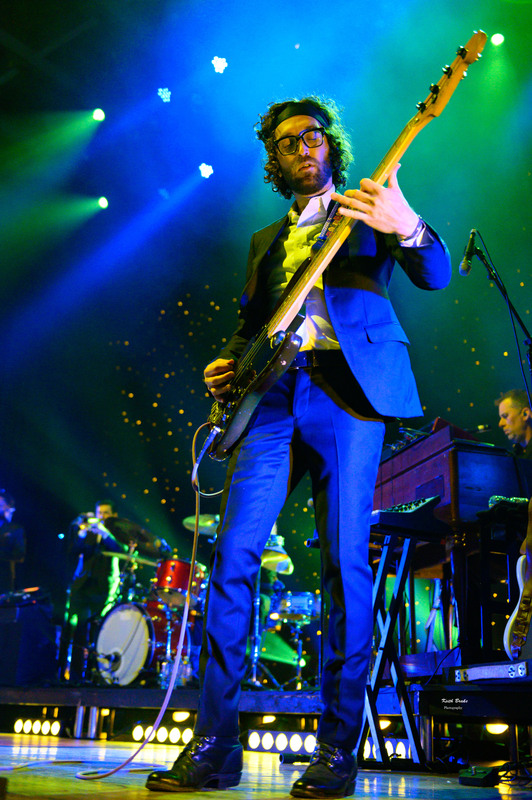 The band members strolled to their gear and began to play. The crowd on the edge of its collective seat, impatiently waited for Paul Janeway’s entrance. 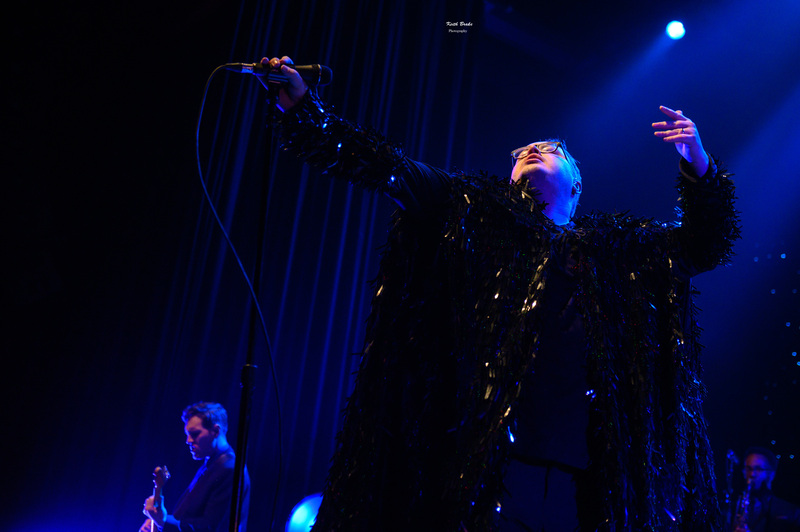 From the moment the sequined cape became visible the crowd left the edge of its proverbial seat, toes tapped, hips swayed, and the crowd was all in. I was excited, having never seen this band, not totally sure what to expect. However, there were horns in the band… a sure winner for this music junkie. Then the mighty Janeway roared to life. I kept looking for Otis, Marvin, or Donnie Hathaway. Nope, it was this white-boy from Alabama, who looks like everyone’s favorite over the top teacher from high school. As a child of the 60s and 70s, I heard Muscle Shoals, I heard Mowtown, I heard Baptist Church choir. Then I stopped trying to put this wonderfully tight band into a box and simply let sweet soul music fill me. 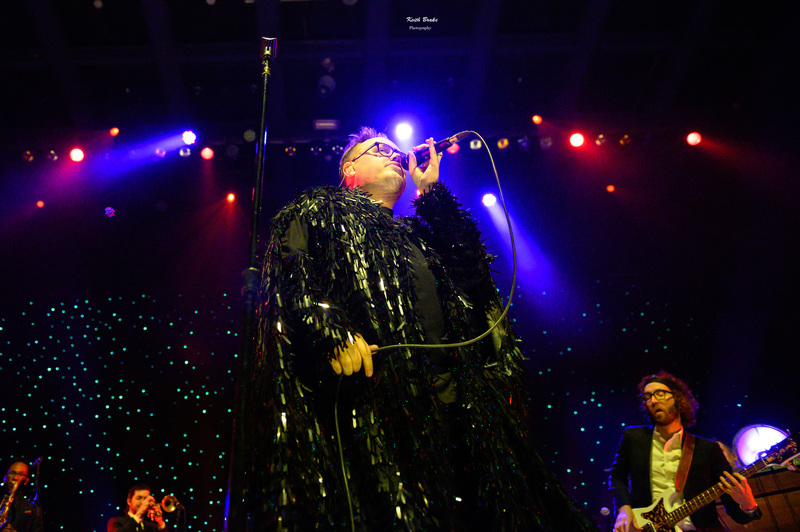 St. Paul and the Broken Bones are so much more than retro-soul. Once I shut down the chatter of my mind and opened it, I received a gift. 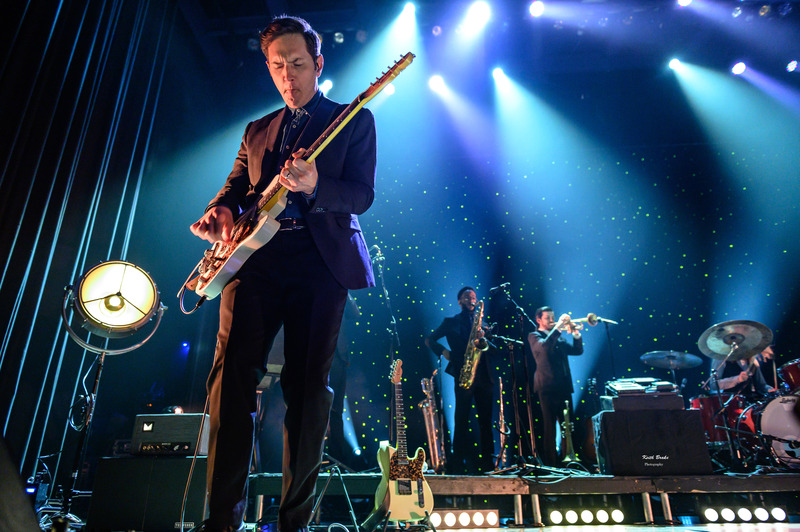 The gift was an ultra-tight band and a charismatic front man that melded into a soulful, bluesy, rock and roll show. The only reason I don’t rate this show higher than five stars…is I can’t. Midwest Rewind runs on a 1-5-star system. If you don’t know this band and you love soul music, well written lyrically as well as musically… stop right now, go wherever you go to purchase your tunes and give yourself an awesome gift. Thank god for the St. Louis music scene and the Pageant for bringing such a fantastic assortment of great music! St. Louis, you’re getting the best of the best, let’s keep them coming and loving the reception they get at The Lou!